I have been travelling the past few weeks and will feature an article this month on some Irish Bassetts and next month on Bassetts Station found in California. I am way behind on correspondence, but hope to catch up within the next few weeks. I received several dozen new queries during my two week absence. We have ordered upgrades to a half dozen DNA kits and still have funds to order two new kits if you are from a family not yet represented in the Bassett DNA study. If you have an outstanding DNA kit, please return it to the lab as soon as possible so that we may all share in the results. I met with John Ray Bassett in Dublin on my recent trip to Ireland. He belongs to the #368B Thomas Bassett of County Wexford family. February 12, 1910, at his residence 231 Clonlife road, Thomas Bassett, Retired Chief Engineer, British and Irish Steamboat Co., North Wall; deeply regretted by his sorrowing sons, daughters, and grandchildren. R.I.P. Funeral from the Church of St. Laurence O'Toole, after 10 o'clock mass, on tomorrow (Tuesday) morning, to Glasnevin Cemetery. 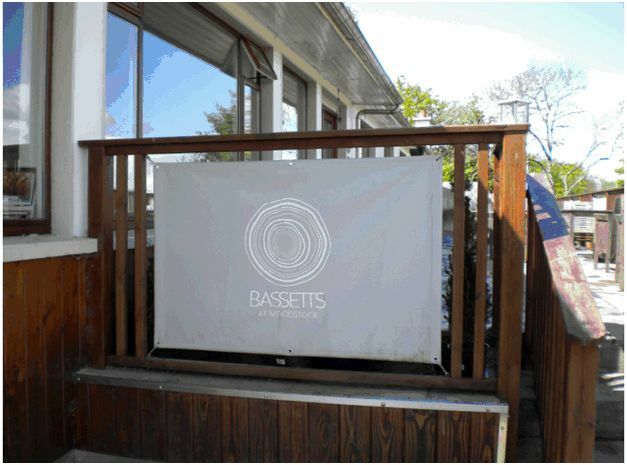 In nearby Inistioge, County Kilkenny, Ireland, I ran across a restaurant owned by John Bassett called Bassetts at Woodstock. It is located just a mile or so north of Inistioge in Woodstock. The restaurant was not open at the time of my visit, so I did not get to find out more about this Bassett family. To read more about this restaurant, click on the link below. LEXINGTON, Ky. (April 9, 2009) − The University Press of Kentucky (UPK) has released a new autobiography, by former president of Keeneland, Ted Bassett, and co-authored by award-winning racing journalist Bill Mooney, called "Keeneland's Ted Bassett: My Life." "Keeneland's Ted Bassett" is the story of James E. “Ted” Bassett III, the man whose name is most frequently linked with Keeneland's extraordinary history and success. Bassett came to the storied racetrack in 1968, after he served in the U.S. Marine Corps and as director of the Kentucky State Police. 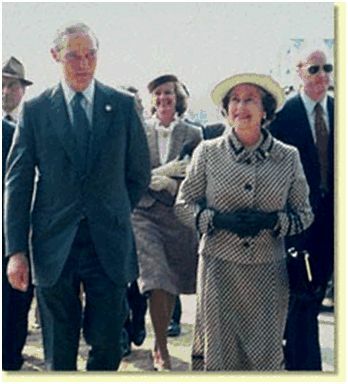 As president and chairman of the board of trustees at Keeneland, Bassett became a highly respected figure within the global thoroughbred industry, creating close and professional relationships with state and government officials domestic and abroad, including Queen Elizabeth II, Ronald Reagan and the Maktoum family of Dubai. He retired in 2001 and serves as trustee emeritus. Written with two-time Eclipse Award winning racing journalist Bill Mooney, "Keeneland's Ted Bassett" is a valuable portrait of the Sport of Kings for racing aficionados and historians. 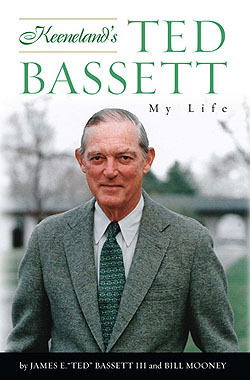 Documenting the private details that shaped Bassett's public achievements, the autobiography offers a unique insight into the world of horse racing and the shaping of both Keeneland and an entire industry. Owen A. Bassett was one of the ablest and most energetic actors in the Border troubles, the Civil war and the civil affairs of the Reconstruction period. A Pennsylvanian by birth, his father moved to Illinois in 1837 and two years later to Iowa. The family home was first in Lee County. The son's original intention was to be a civil engineer, but he finally decided in favor of the law, although the stirring and compelling affairs which entered his life prevented him for many years from utilizing the legal training which he acquired. In 1855 he was employed in the United States land office at Fort Des Moines, Iowa, but in the spring of 1856 resigned to engage in business at Lecompton. Soon afterward he entered heartily into the free-state cause, joined the military company known as the Lawrence Stubbs, and was engaged both in the battle of Franklin and the capture of Fort Saunders. Subsequently he held the positions of engineer and quartermaster with the free-state army of Kansas, and in December, 1856, moved to Leavenworth. 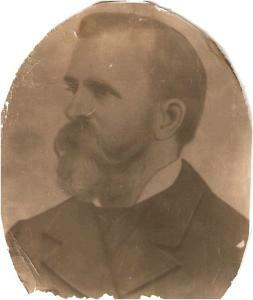 There he engaged as engineer for the Quindaro Town Company, and in 1857 and 1858 served in the Territorial Legislature. In the latter year he moved to Franklin County, published the Kansas Freeman a few months, returned to Lawrence and was admitted to the bar. At the outbreak of the Civil war he assisted in the organization of the First Kansas Infantry, but later was commissioned lieutenant colonel of the Ninth Kansas, which later became the Second Cavalry, and with which he served until 1865. Colonel Bassett was elected district judge in 1868 and, by re-election, held that office until 1876. He was a prominent Mason and died at Ellsworth, July 19, 1896. No family lines were combined and no new families were added since the last newsletter. One new participant joined the DNA project this month and several upgrades were ordered.